China is the world`s most important auto market with a lot of carmakers to bring their new toys to boost their sales. The reason is pretty obvious: the low import taxes is a real heaven for them, a fact that allows significant profits on the aforementioned market. With the SUV segment also in development, Fiat-Crysler wants a piece of the pie by also bringing its SUV lineup. 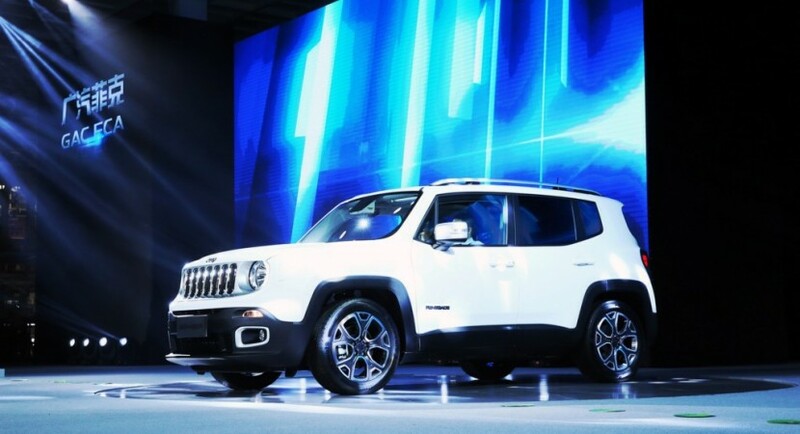 After bringing the Cherokee in Chine last November, the FCA has also started production of the Renegade smaller SUV, the model being built in partnership with Guangzhou Automotive Group. The Jeep Renegade is currently being assembled at the group`s new factory in Guangzhou, with 160,000 units to be built each year. Besides the manufacturing of the Jeep Cherokee and smaller Renegade, Fiat-Crysler is also planning to add a new mid-sized SUV to its lineup in China towards the end of the year, which means that the company is planning to double its sales from 2015`s 89,000 units to more than 150,000 starting next year. How about a Road-Legal Aston Martin Vulcan?